Discord appeared outside Epona Calliope’s house. He looked around then walked to the door and knocked. 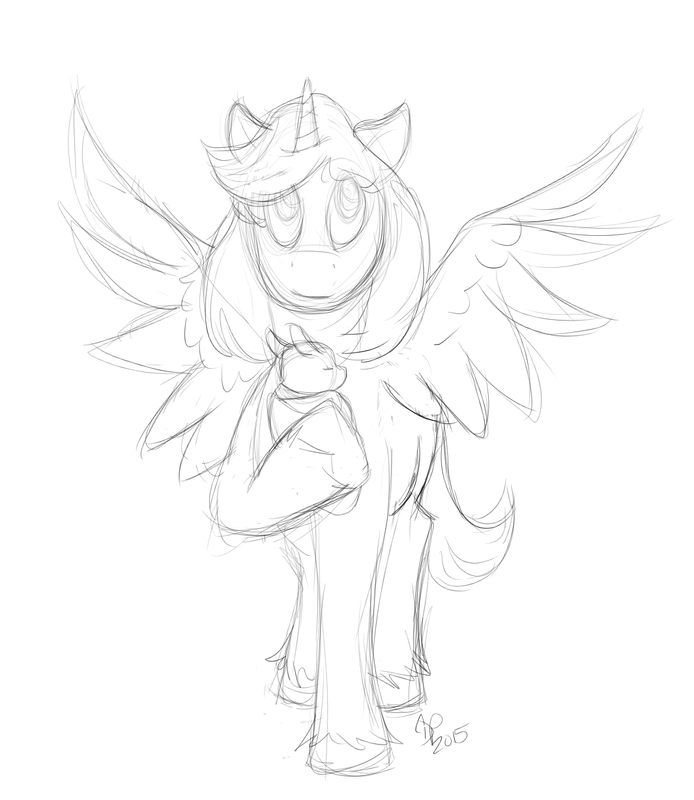 “But Discord, I have my own foal to take care of, couldn’t you ask the other local pony doctor?” She suggested. 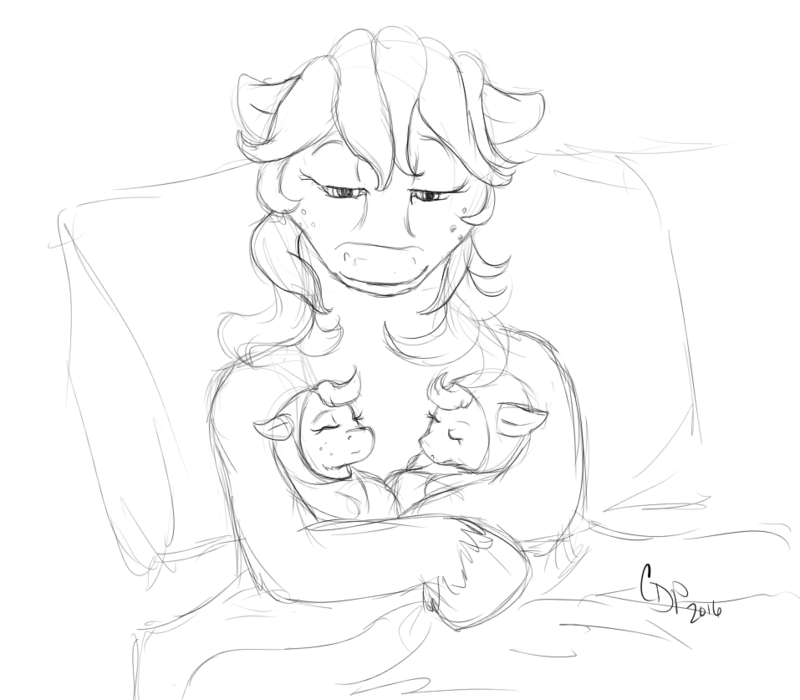 “I don’t think you’d make a good foal sitter…” She said and suddenly squeaked when he picked her up. “I’m a father of Paradox, LillyRose and Scarlet Grace. 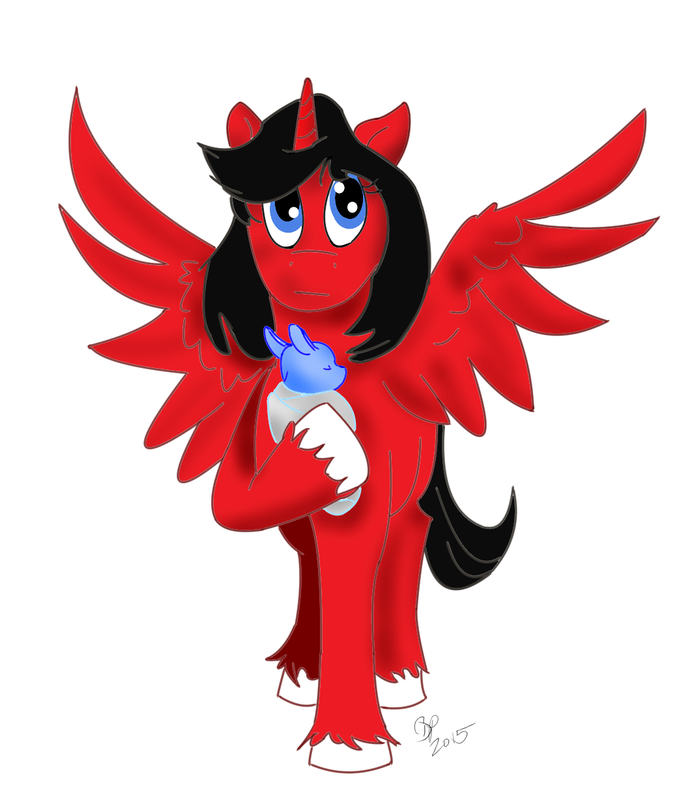 I think I can take care of a foal for a couple hours.” He teleported them all. “I… Lilly… that’s not fair.” Zero stuttered and looked at his wife in shock. “Never fear. Discord is here!” Discord entered the room carrying Epona at arm’s length. “I brought the doctor.” He had a baby sling across his chest where Epona’s foal was. “Discord…?” Fluttershy said sternly at him. “I just brought our favorite goddess of horses and birth to my daughter. You should be happy my love.” Discord said as he placed Epona down softly. “You’re breathing well; where is your brother? I think he and his fiancé needs to watch my foal soon, because your mother… is going to go into labor in a few seconds.” She said quietly without Discord hearing her. Paradox came running into the room with blankets and towels. “I brought all I could.” He said panting. He watched as they magically floated out of his paws. One was magically draped over Lilly’s stomach and back legs. “Thank you Paradox. Now get my foal from your father please.” Epona stated quietly. “What? 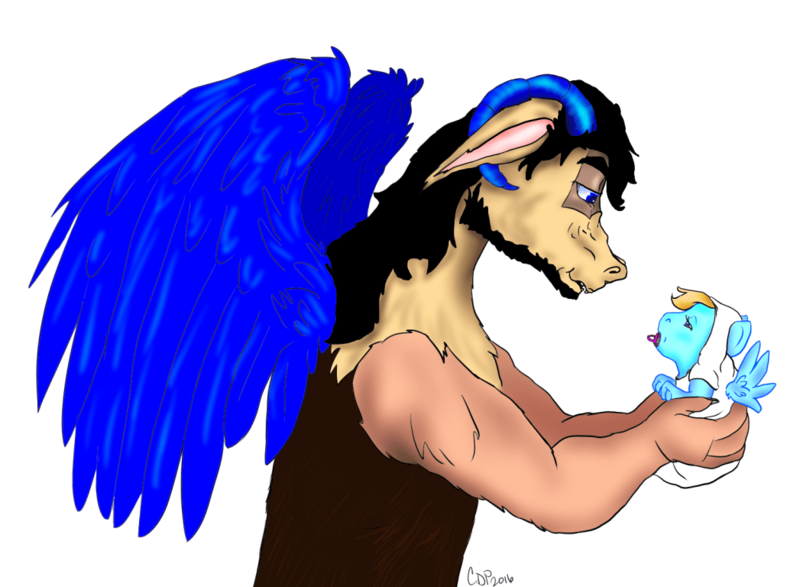 Why does he need to hold him?” Discord asked suddenly as he took the foal from the sling and started to place the sling around Paradox’s chest. “AH!” Fluttershy gasped out suddenly and clutched her stomach. Discord’s eyes widened. “Fluttershy?” He quickly handed Epona’s foal to Paradox. “AH!! !” LillyRose gasped aloud too.